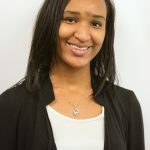 Campus Compact, a Boston-based non-profit organization working to advance the public purposes of higher education, has announced the 262 students who will make up the organization’s 2019-20 cohort of Newman Civic Fellows. 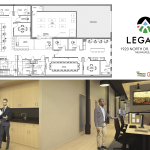 The African American Chamber of Commerce of Wisconsin (AACCW) is pleased to announce the groundbreaking development of Legacy: a new innovation and co-working space designed by and for African American entrepreneurs. “Walking to school is an easy way to be healthy, reduce pollution, and helps kids arrive ready to learn. Getting morning exercise has proven to increase school performance.” says Jake Newborn, Programs Director the Wisconsin Bike Fed. Jarjour performs a wide range of the classical guitar repertoire, ranging from the traditional Spanish/Latin American, through Baroque and Classical, to contemporary music. Wisconsin is experiencing an alarming rise in anti-Semitic incidents, according to the Jewish Community Relations Council of the Milwaukee Jewish Federation’s 2018 Audit of Anti-Semitic Incidents. An initiative to reimagine and reposition the nonprofit sector as a force for deep systems change. The sixth annual Summit on Black Male Youth is set for Monday, March 18, and Tuesday, March 19, at the University of Wisconsin-Milwaukee from 8:30 a.m. to 3 p.m.
Feast of Crispian, a non-profit theater organization that uses the works of Shakespeare to work with military veterans, is proud to announce the first-ever National Veterans Theater Festival, which will take place at Milwaukee Repertory Theater’s Stiemke Studio May 23-26, 2019.